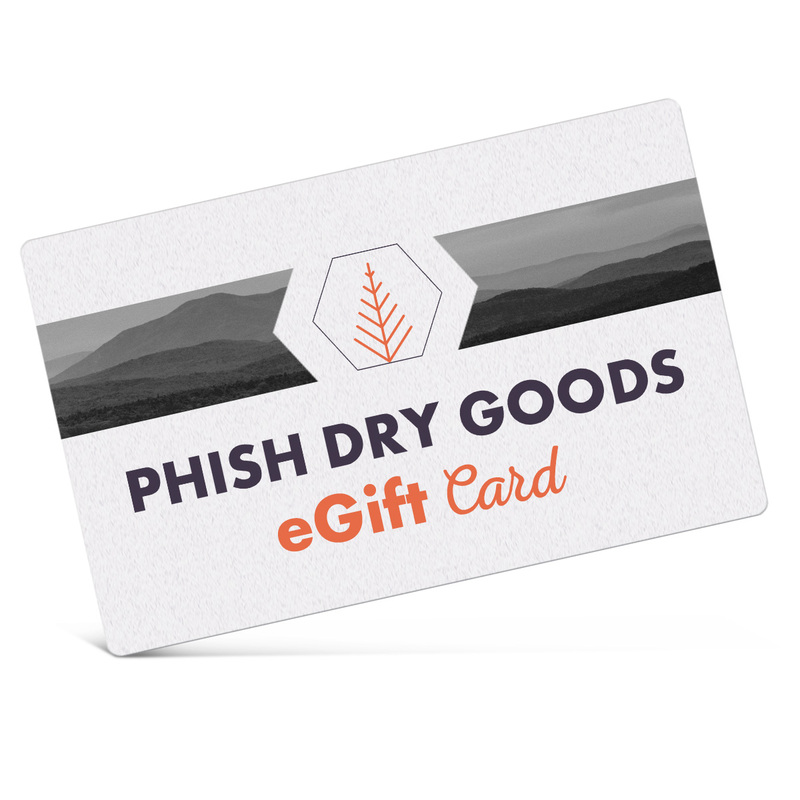 Give a great gift with a Phish Dry Goods eGift Card. Select the denomination you'd like to give below, and an electronic gift certificate will be sent via email to you or a friend. You can choose to have the gift certificate sent immediately, or for a date in the future (a birthday, for example). To make a purchase using the certificate, visit Phish Dry Goods, add the items you'd like to purchase to your shopping cart, and enter the code provided in the email as payment. eGift Cards can only be used at Dry Goods and not at LivePhish.com. eGift Cards are not eligible for discounts.